happy fourth of july! i hope everyone has some super fun plans for tonight and stay safe! i couldn't let this holiday slip by without letting you guys in on a awesome etsy shop and giveing you a chance to win a prize. have you checked out passive juice motel yet? "made with genuine human hands", passive juice motel is hands down my favorite etsy shop right now! when robin was born i was determined to give little man some serious unique little man style and somewhere along the way the girls lucked out too. from their tees to their tanks to their pillows to their bags, i could seriously buy it all! printed on american apparel tees, the images are crisp and fresh and stand up to washing and drying so well! the dominant theme in their shop seems to be fun pop culture when it and awesome rappers. everywhere we go we get stopped by people who want to know more about their shirts - or give a little giggle, cause it is pretty funny seeing my tiny blonde lady representing jay-z and his big lips. i am so in love with this shop and their products, that we have teamed up to give away a $25 credit passive juice motel! you can pick out a tee for you, or your little one, or to give as a birthday gift - whatever you want. to win, just follow the rafflecopter steps below! the giveaway will run until next thursday at midnight pst. good luck and have fun! Love Davy Crockett and Let's swim to the moon! My dude spits up so much, I've kind of given up (for now) on super fashionable clothes. Hoping he grows out of this stage soon! I'd prob love the Jay-Z tee! I love the "Local is Lovely" shirt! basically need everything they make! i've had my eye on the local is lovely bag though. I like the Fresh Prince tank. I've never heard of this shop but I love it! I could easily pick something out. LOVE the "Dreamer Kids Tee" soooo cute! Love the Fresh Prince kids tank! So awesome! My little dude needs all of these shirts, they are so awesome! My husband would love either the honest Abe or the Bill Murray shirt! I like the Paul Bunyan and his Big Blue Ox shirt! My favorite is the Fresh Prince tank top..AMG! I like both the fresh prince shirt or the local is lovely tote! :) Couldnt pick just one! I would love the fresh prince shirt for my little girl....my husband's favorite show from back in the day! OMG so cute!! I'm torn. 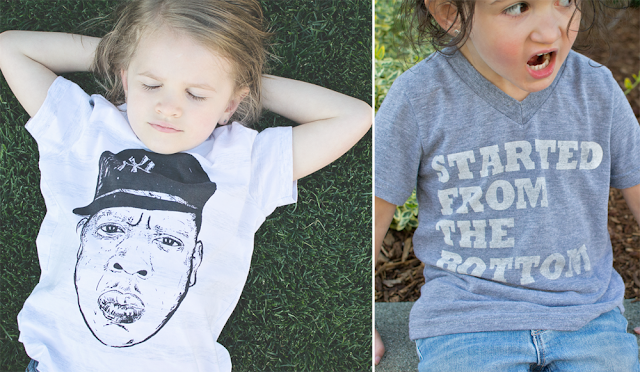 My son needs that Jay-Z tshirt and the Fresh Prince tank.. sooo cute!! Just ordered from Passive Juice Motel tonight.. Head lots of great things about them!! This stuff is extremely cute! I love the Fresh Prince tank! oh em gee....severus snape tee!! i need!! one for me and one for my oli bear. i love the honest abe tee!